Justice League vs. The Fatal Five finds the Earth's future hanging in the balance when the Justice League faces a powerful new threat - the Fatal Five. Superman, Batman and Wonder Woman seek answers as the time-traveling trio of Mano, Persuader and Tharok terrorize Metropolis in search of budding Green Lantern, Jessica Cruz - whom they need to free remaining Fatal Five members Emerald Empress and Validus in order to carry out their sinister plan. 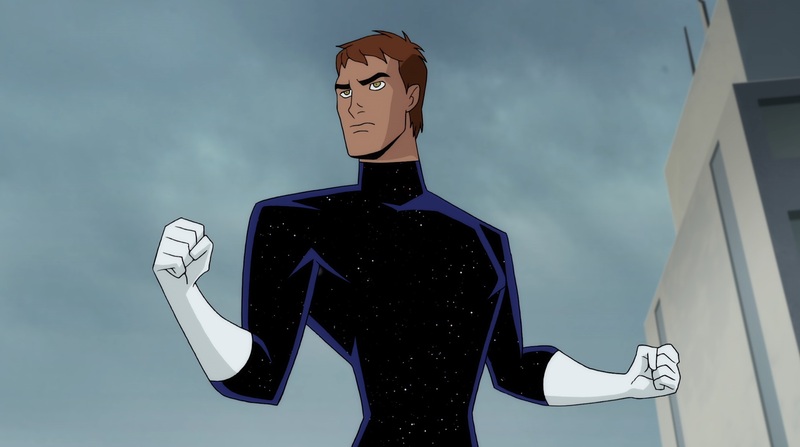 But the Justice League discover an ally from another time in the peculiar Star Boy - brimming with volatile power, could he be the key to thwarting the Fatal Five? An epic battle against ultimate evil awaits! "Justice League vs. 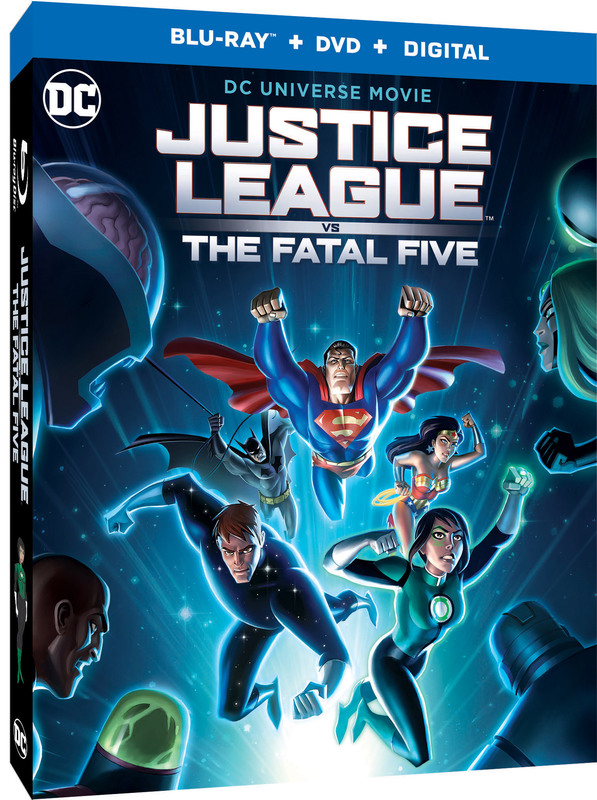 The Fatal Five is an important addition to the DC Universe Movies, spotlighting two unlikely young heroes with real-world issues facing off against a daunting quintet of futuristic villains," said Mary Ellen Thomas, Warner Bros. Home Entertainment Vice President, Family & Animation Marketing. 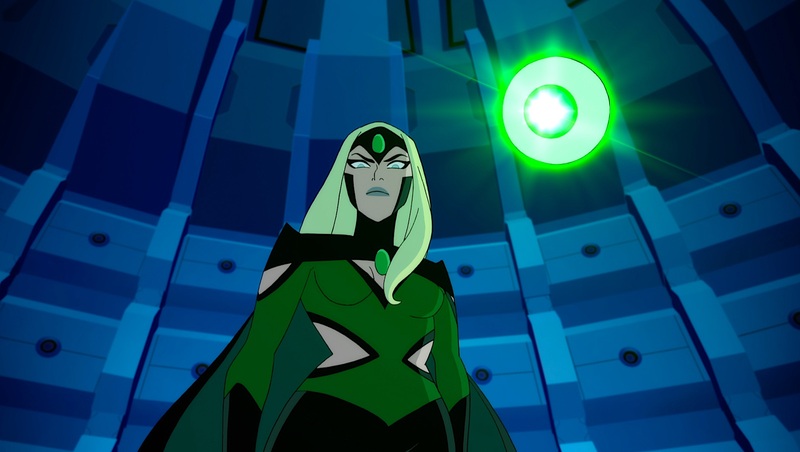 "We're also are proud to have Kevin Conroy, Susan Eisenberg and George Newbern reprising their seminal roles as DC's Trinity in the Justice League & Justice League Unlimited animated series, and believe the fans will be equally pleased with their return to these characters." Battling the Invisible Menace (Featurette) - This featurette will explore the nuanced hero as many characters must deal with the everyday feelings of anxiety, depression, and other incapacitating emotions that we all must battle and overcome. Justice League vs. Fatal Five: Unity of Hero (Featurette) - A look at how the pantheon of DC heroes has never been more diverse and inclusive, as writers and artists break boundaries and smash stereotypes. 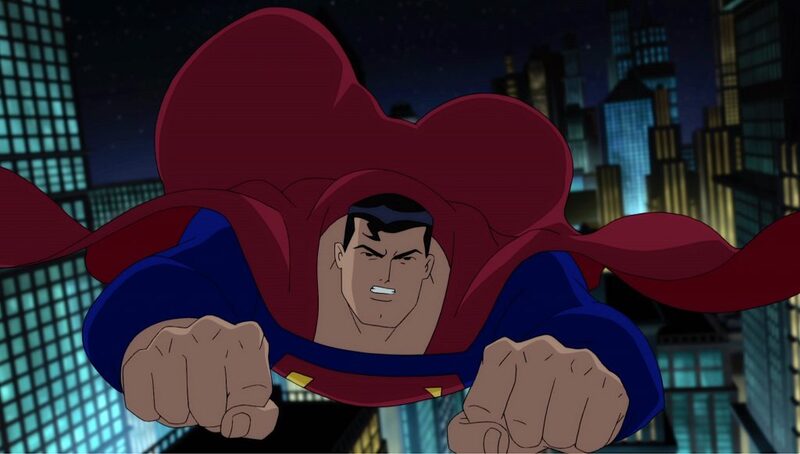 Audio Commentary - Bruce Timm, Sam Liu, Jim Krieg and Eric Carrasco share their thoughts and insights on Justice League vs. The Fatal Five. A Sneak Peek at the next DC Universe Movie, Batman: Hush - An advance look at the next animated film in the popular DC Universe Movies collection. Sneak Peek Revisited: A Preview of Justice League Dark - John Constantine leads a group of misfit characters that use magic to vanquish their opponents. This is the dark version of The Justice League taking on the malevolent forces that go beyond our plane of existence. Sneak Peek Revisited: A Preview of Justice League vs. Teen Titans - A glimpse into the characters known as the Teen Titans. The 4K Ultra HD Blu-ray disc of Justice League vs. The Fatal Five will feature Dolby Vision HDR that dramatically expands the color palette and contrast range and uses dynamic metadata to automatically optimize the picture for every screen, frame by frame. The 4K Ultra HD Blu-ray disc of Justice League vs. 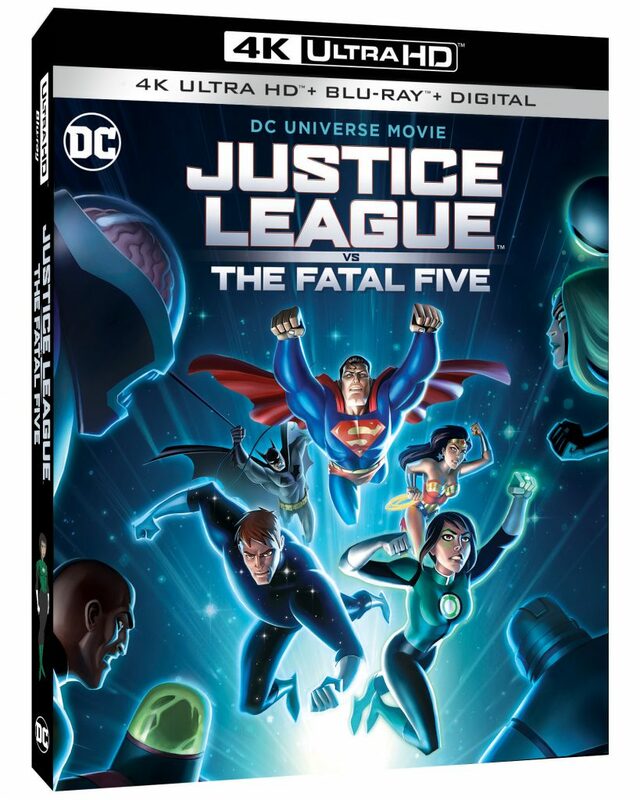 The Fatal Five will also feature a Dolby Atmos� soundtrack remixed specifically for the home theater environment to place and move audio anywhere in the room, including overhead. To experience Dolby Atmos at home, a Dolby Atmos enabled AV receiver and additional speakers are required, or a Dolby Atmos enabled sound bar. Dolby Atmos soundtracks are also fully backward compatible with traditional audio configurations and legacy home entertainment equipment. Justice League vs. The Fatal Five will also be available on Movies Anywhere. Using the free Movies Anywhere app and website, consumers can access all their eligible movies by connecting their Movies Anywhere account with their participating digital retailer accounts. Fans can also own Justice League vs. The Fatal Five via purchase from digital retailers beginning March 30, 2019.